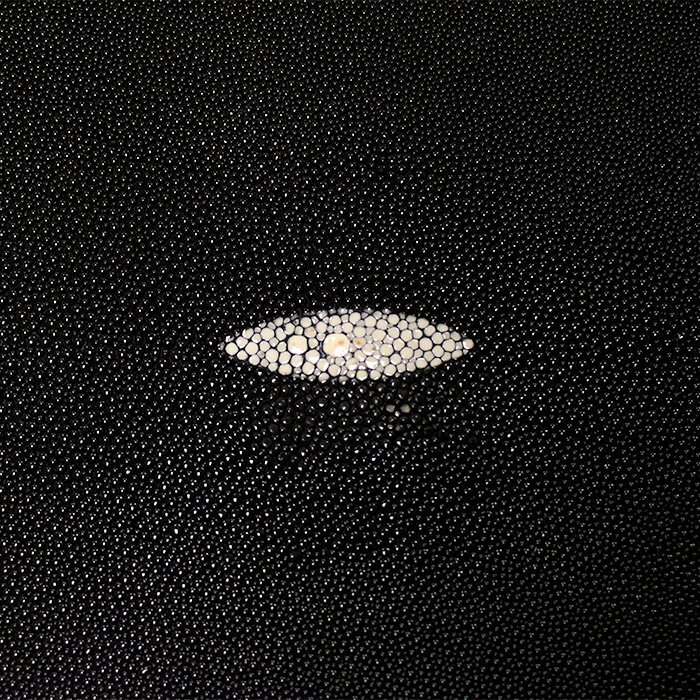 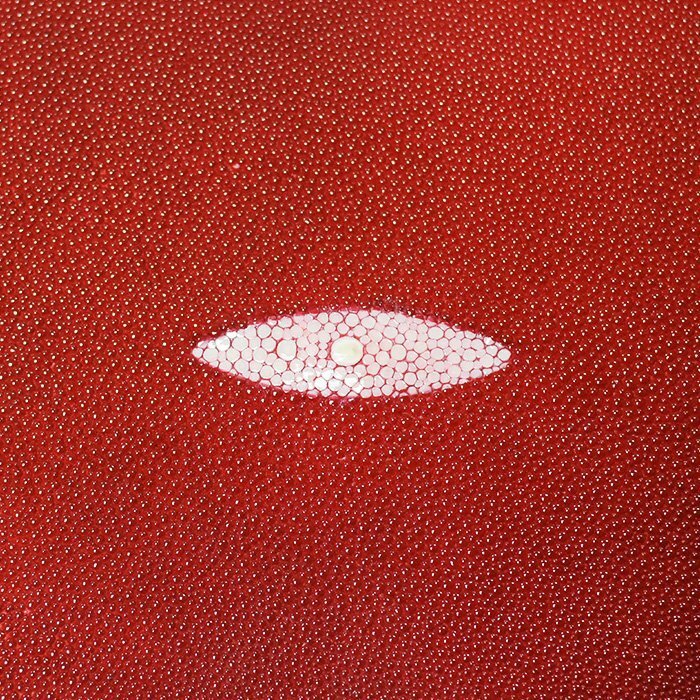 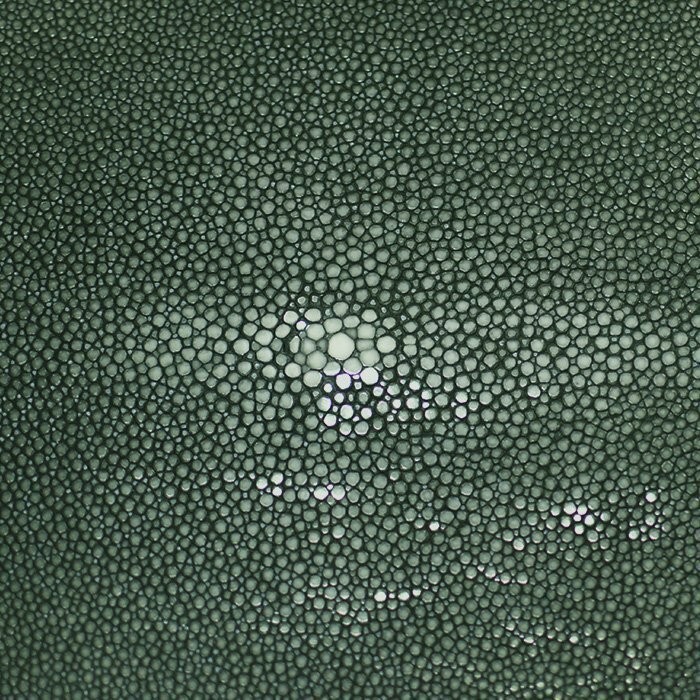 Genuine Shagreen Stingray | Real Stingray Hides | Keleen Leathers, Inc. 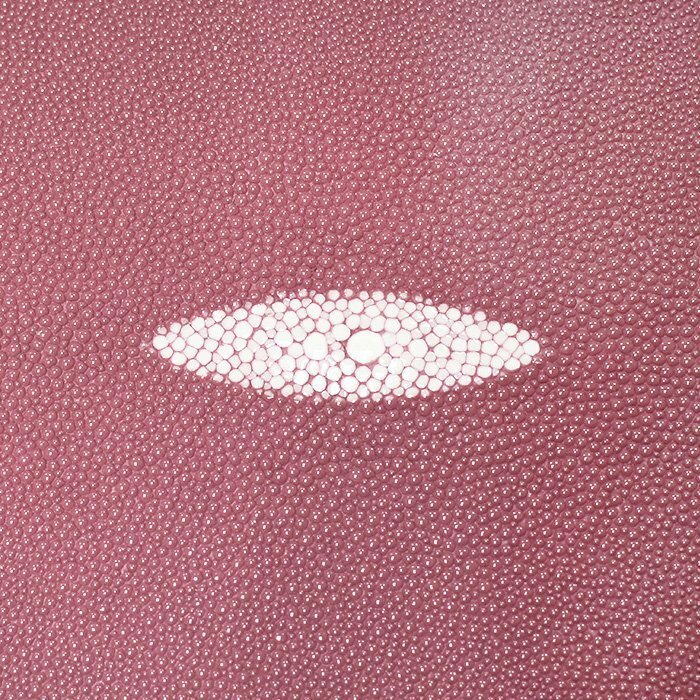 The Shagreen Collection from Keleen Leathers is comprised of the finest genuine stingray hides in the industry, resembling gorgeous diamonds and pearls. 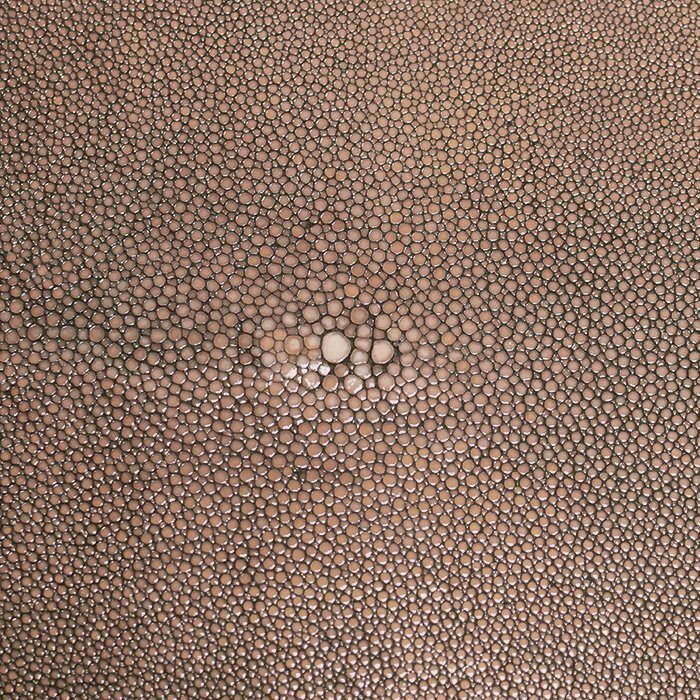 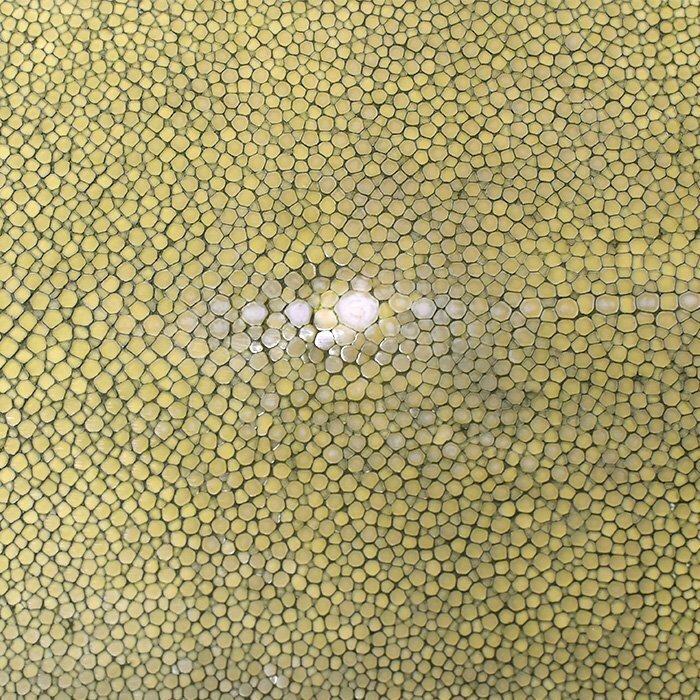 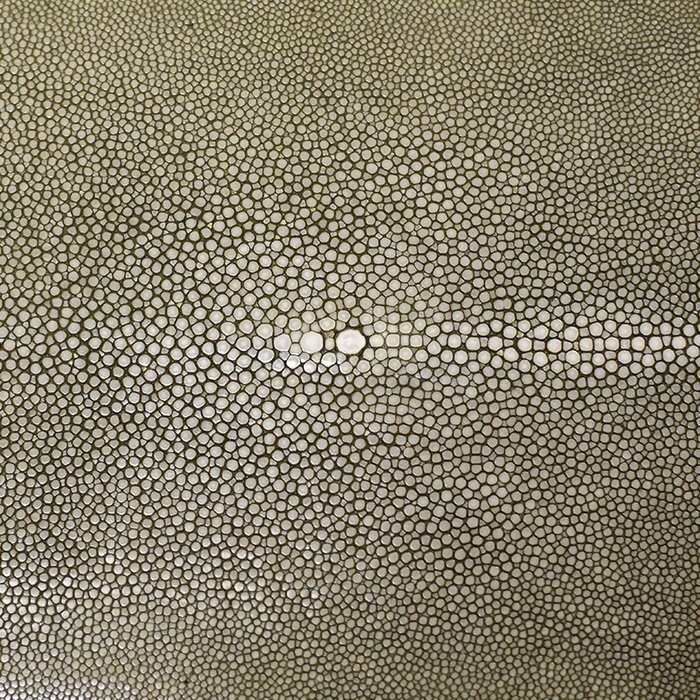 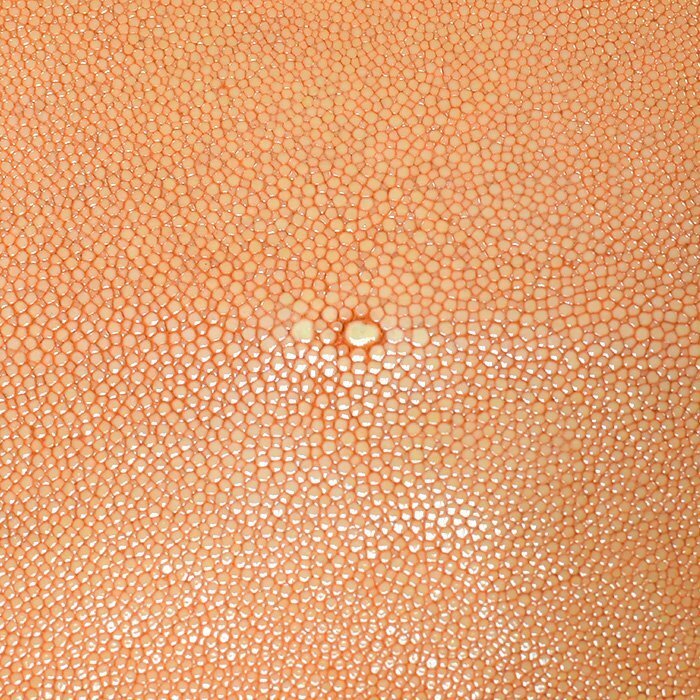 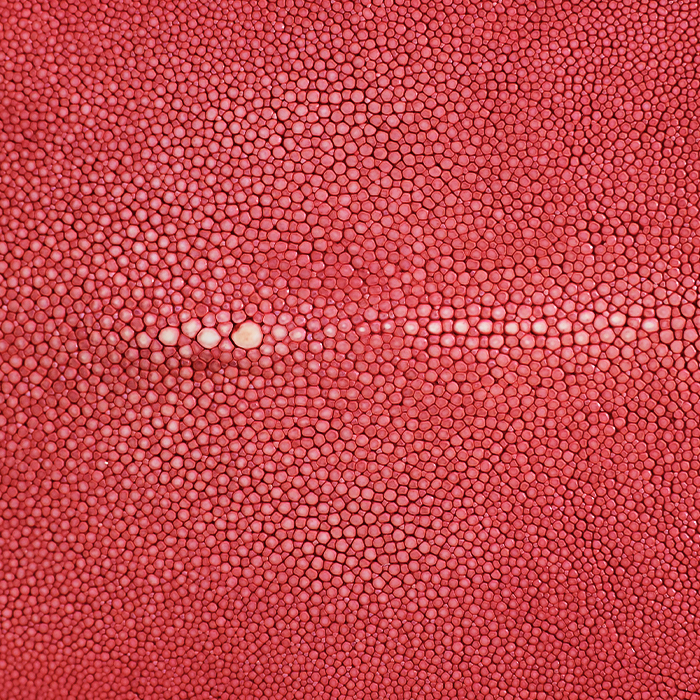 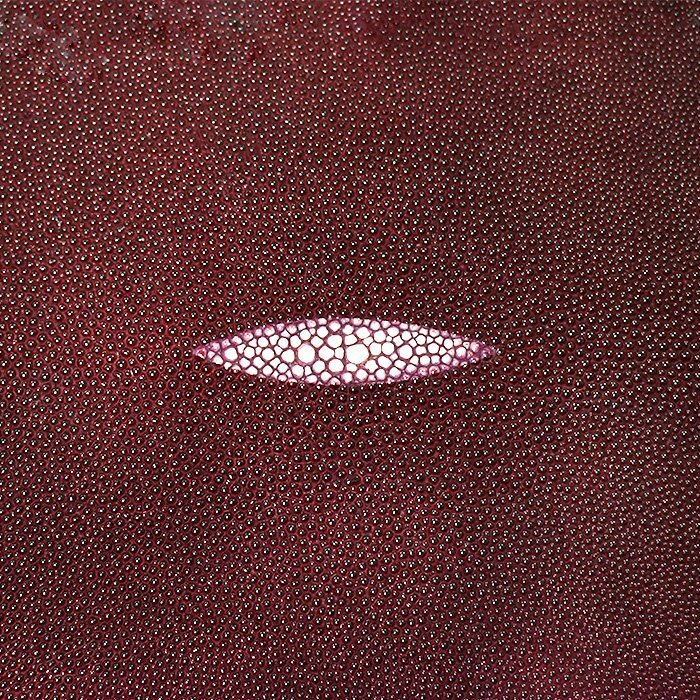 Shagreen skins have a unique calcium deposit in the center of the skin which is commonly known as the “crown”. 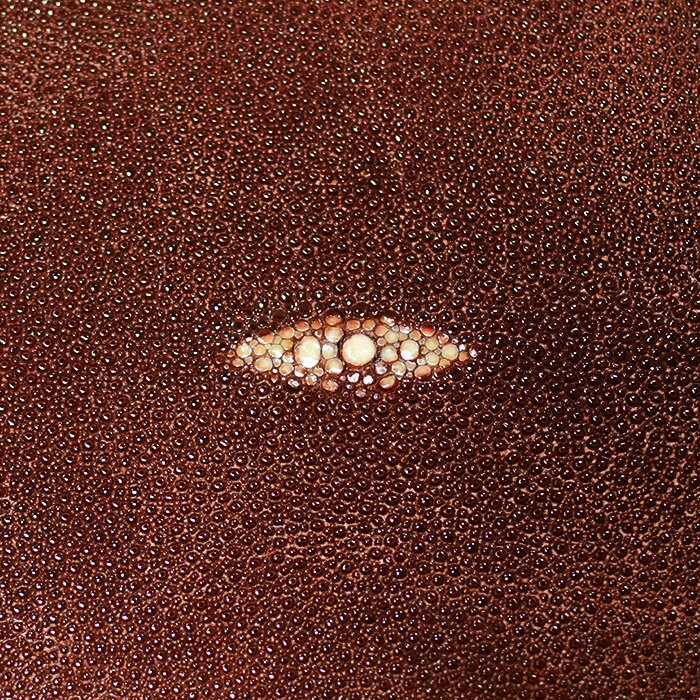 Stingray skins are the pinnacle of luxury worldwide, as their rarity and uniqueness make them a true KL gem. 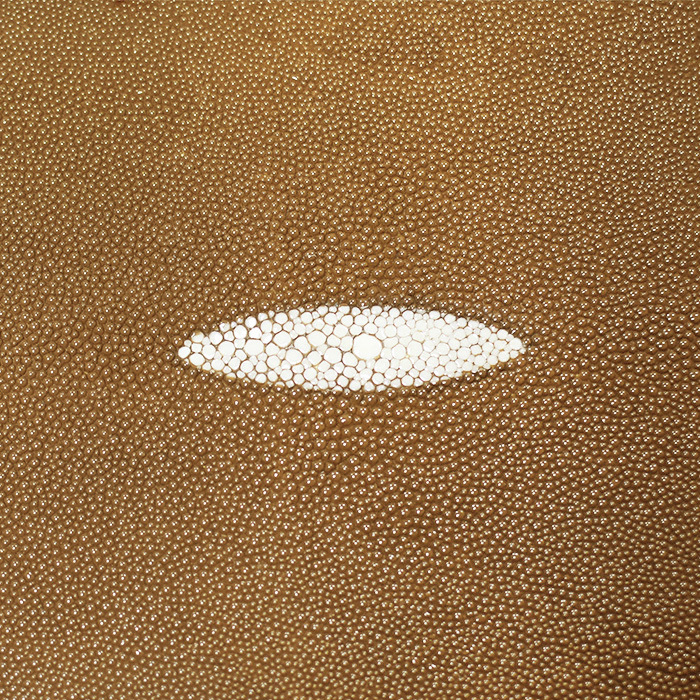 Shagreen is extremely durable and can be used on walls, panels, furniture, etc. Our “Diamond” genuine shagreen skins have a slightly pebbled appearance which is incredibly unique and truly stunning. 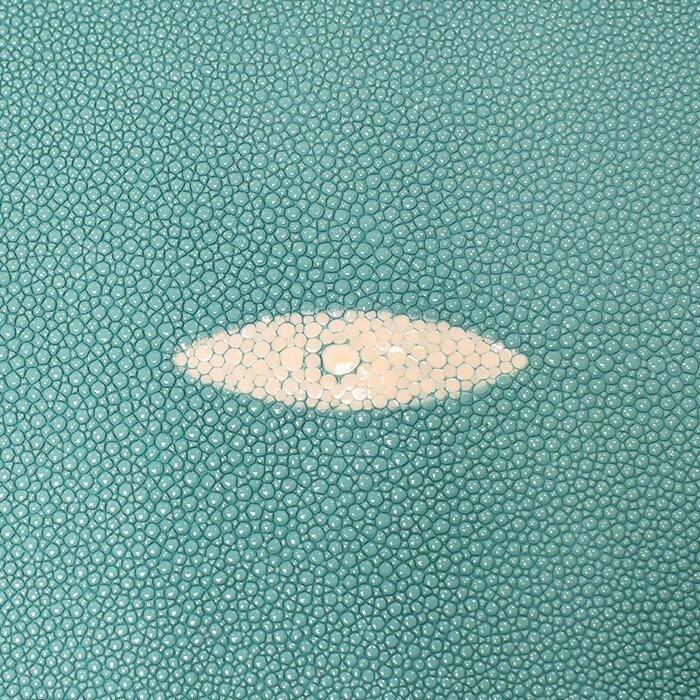 They are an intense solid color throughout, with a great emphasis on the contrasting diamond shaped “crown”. 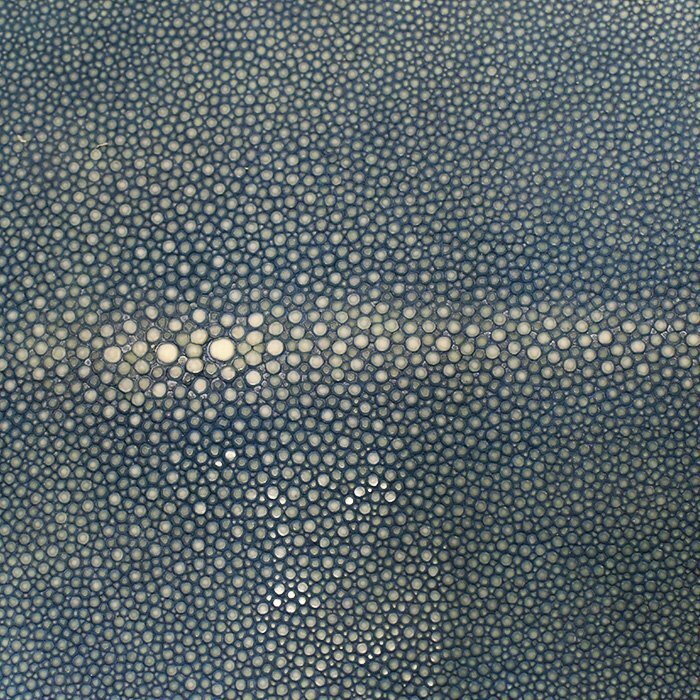 Our “Pearl” genuine shagreen skins have a smooth, polished, sanded surface. The “crown” is a round shape and the surrounding area has a stone-washed appearance. 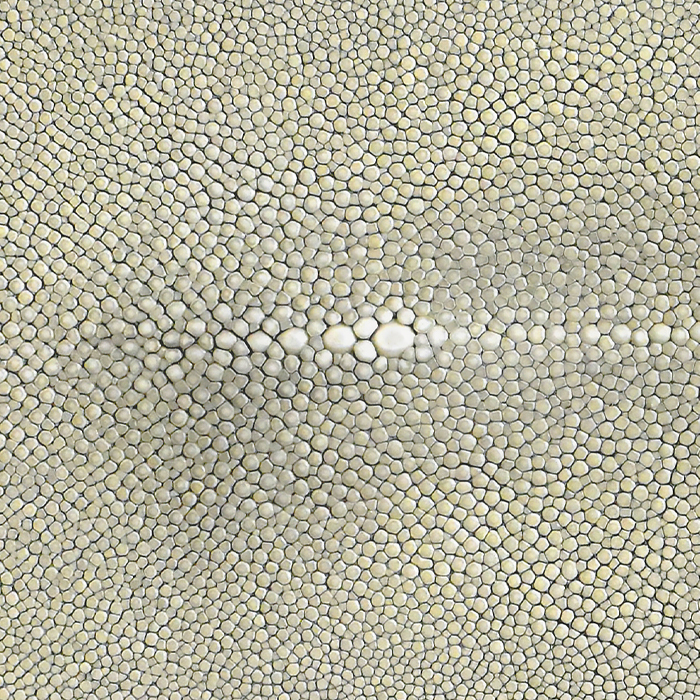 All Shagreen Stingrays sold by Keleen Leathers is solely a by-product of the seafood industry, and are commonly referred to as “skate” in restaurants.